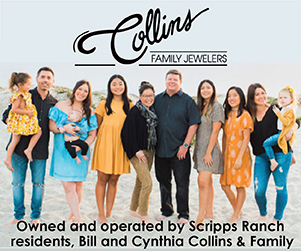 The Scripps Ranch High School varsity football team will bring its 3-1 record to La Jolla High School to challenge the Vikings on Friday, Sept. 14, following last week’s home loss to Mira Mesa High. 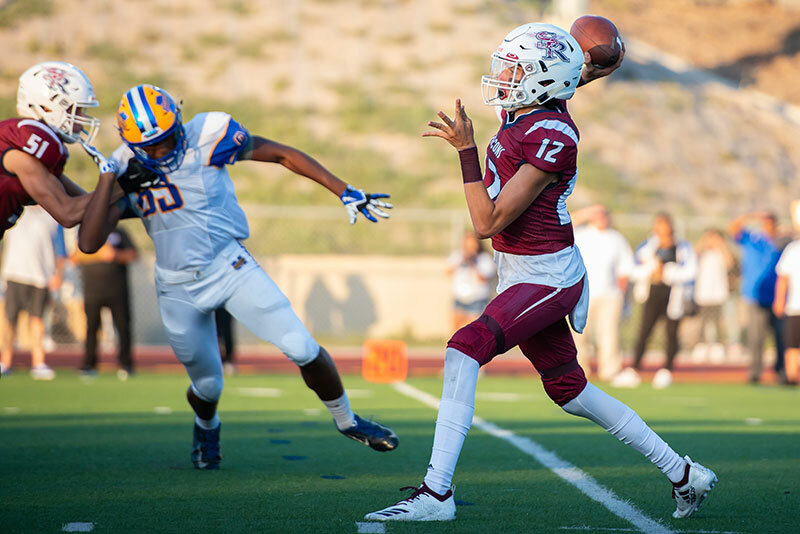 Last week, the Scripps Ranch High School varsity football game against Mira Mesa was labeled “The Battle of the 15,” and a battle it was. 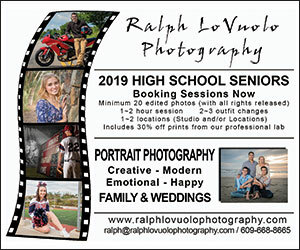 The evening events started off with a tailgate party hosted by the Scripps Ranch High School (SRHS) ASB in the quad, with more than 300 kids and faculty showing up. Then, the senior varsity players and cheerleaders honored the faculty for all their hard work and dedication to the school and students. At kickoff, both teams were 3-0 and the first quarter was exactly what one would expect from both teams with equal records. 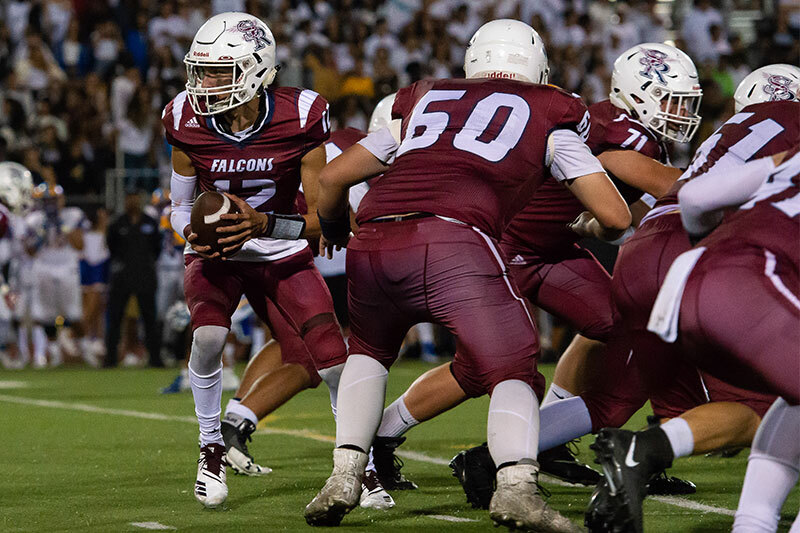 The teams battled hard offensively and defensively, and the first quarter was scoreless. 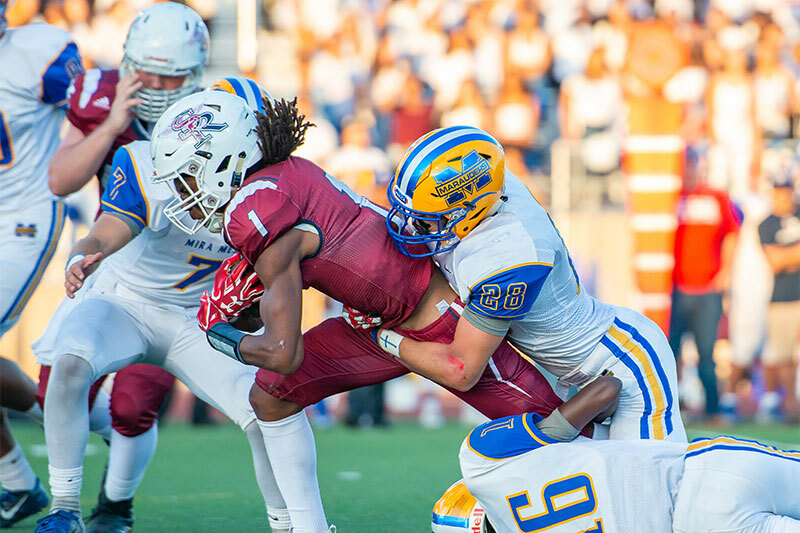 However, Mira Mesa scored in the second quarter and then dominated the game from there. 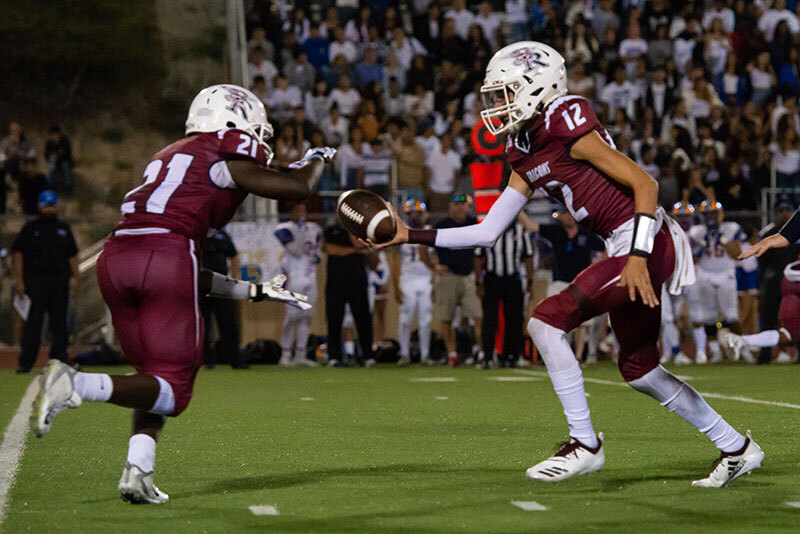 Before the half, there was a controversial call over a touchdown catch. 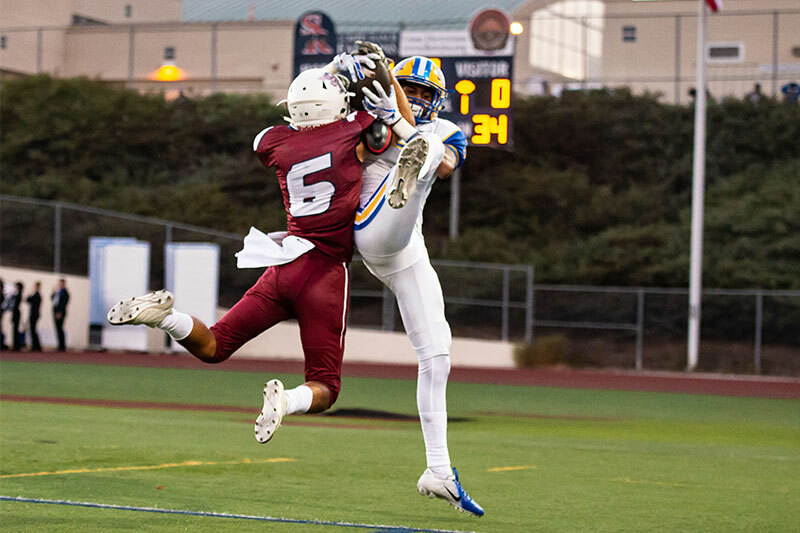 Johnny McGoldrick, defending for Scripps Ranch, jumped up at the same time the Mira Mesa player did. 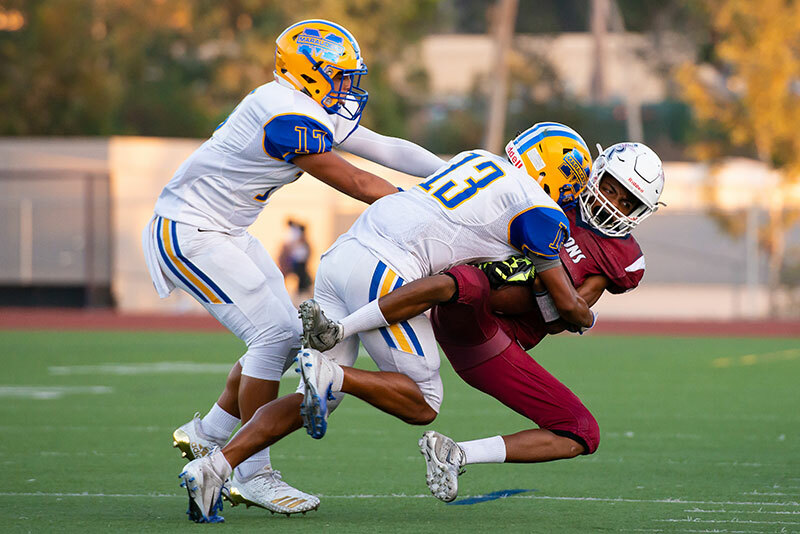 They both grabbed it, but the officials determined it was a tie ball going to the visiting team, giving Mira Mesa its first touchdown, which became the turning point of the game. 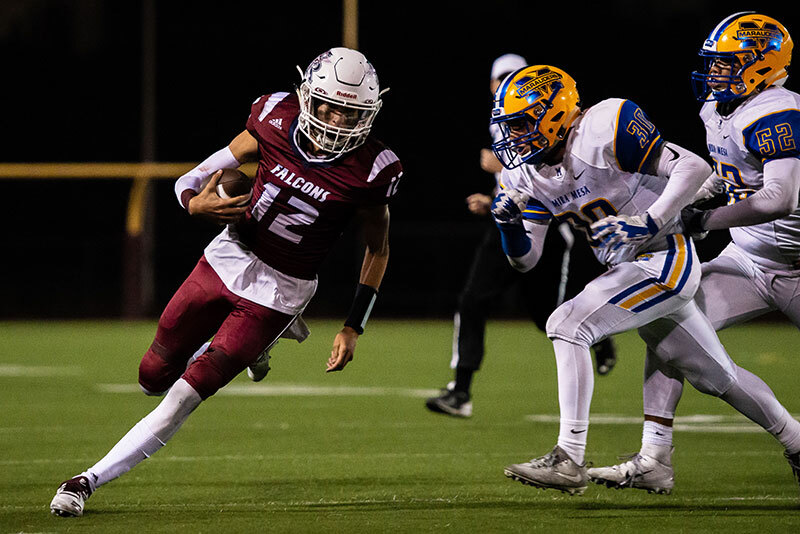 The Falcons eventually lost to Mira Mesa 0-21. 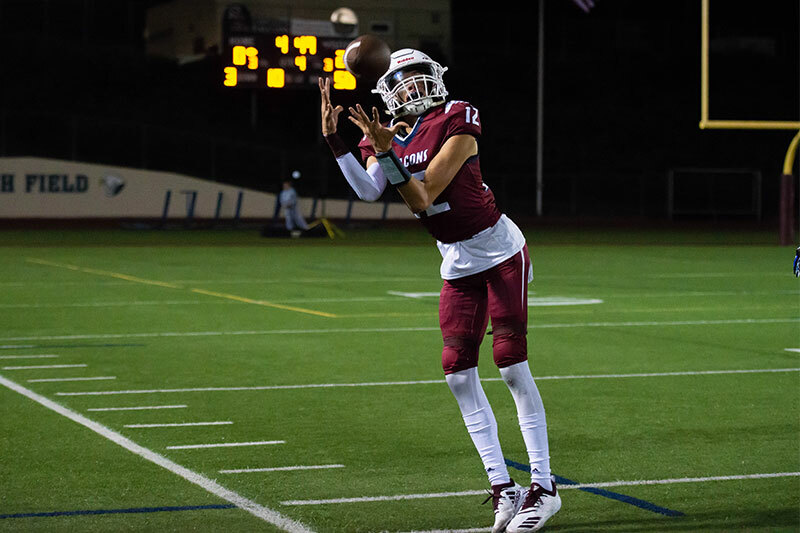 Earlier, the SRHS freshmen were defeated by Mira Mesa 32-21. 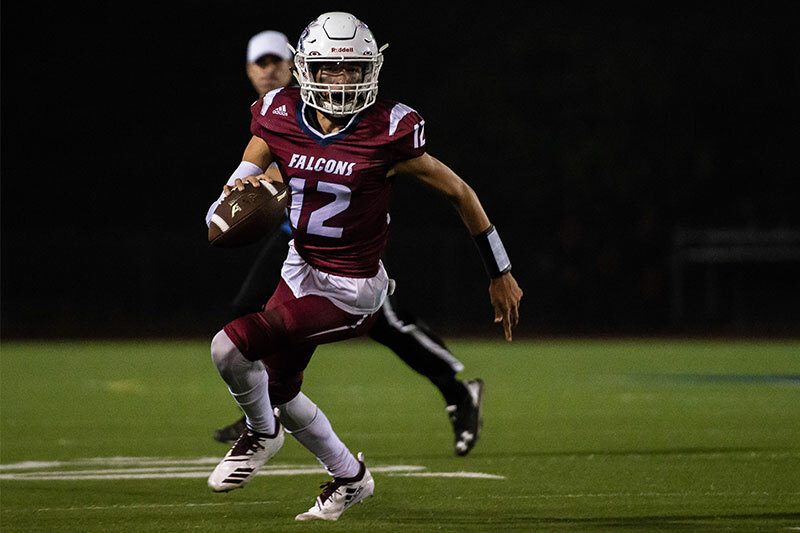 The Falcons JV team lost to Mira Mesa 7-13. 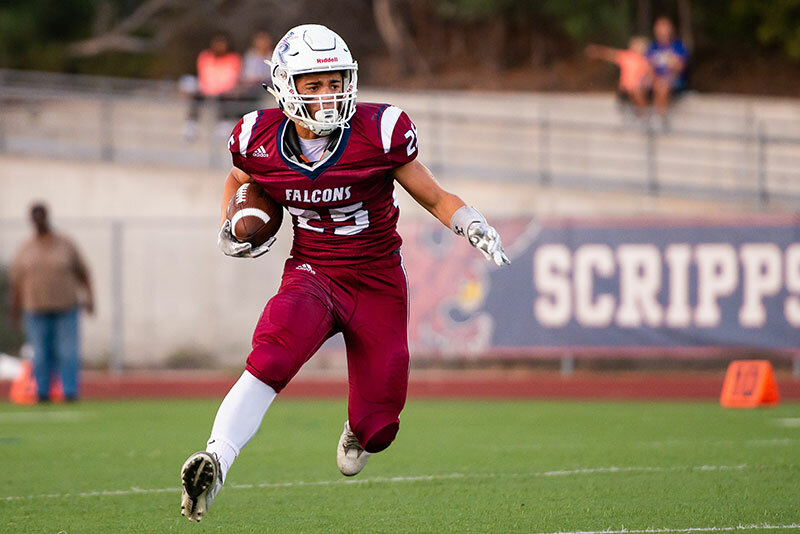 This week Scripps Ranch varsity will take on La Jolla on Friday, Sept. 14, in La Jolla at 6:30 p.m.